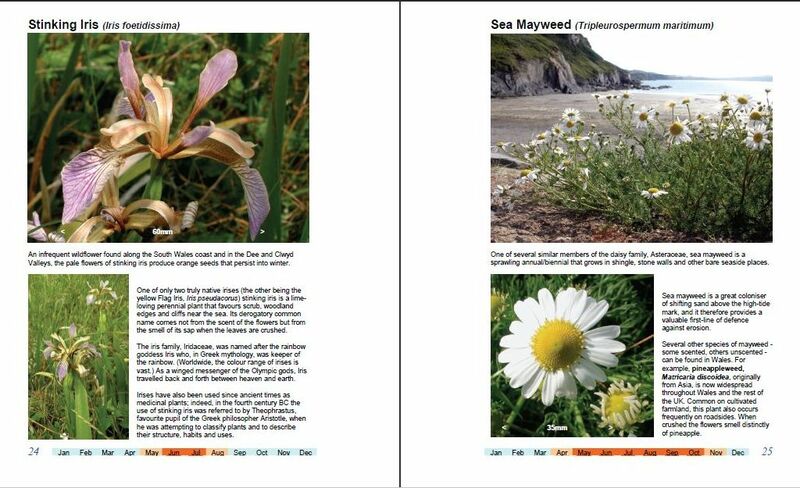 "The essential guide to wildflowers of shingle beaches, sand dunes, dune slacks and coastal cliffs in Wales"
BUY HERE using your Credit Card, Debit Card or PayPal Account via the PayPal secure on-line payment system. 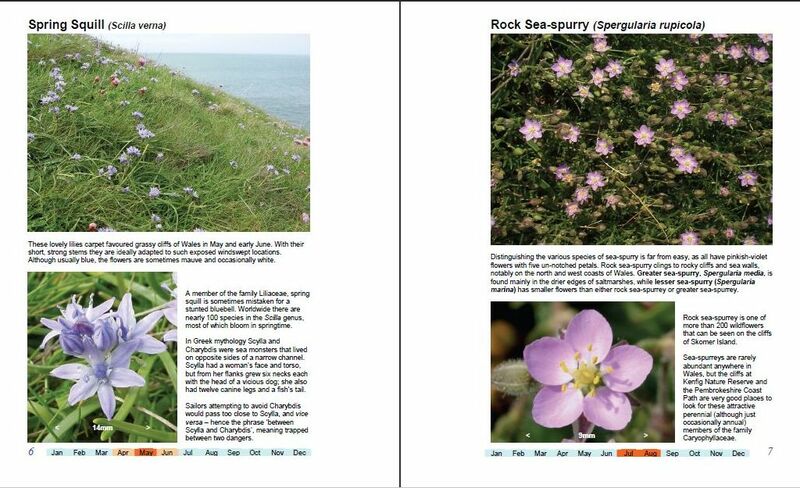 A beautifully illustrated guide to wildflowers of seashores and coastal cliffs, with more than 100 large colour photographs including close-ups of individual flowers and size guides; flowering season date strips. 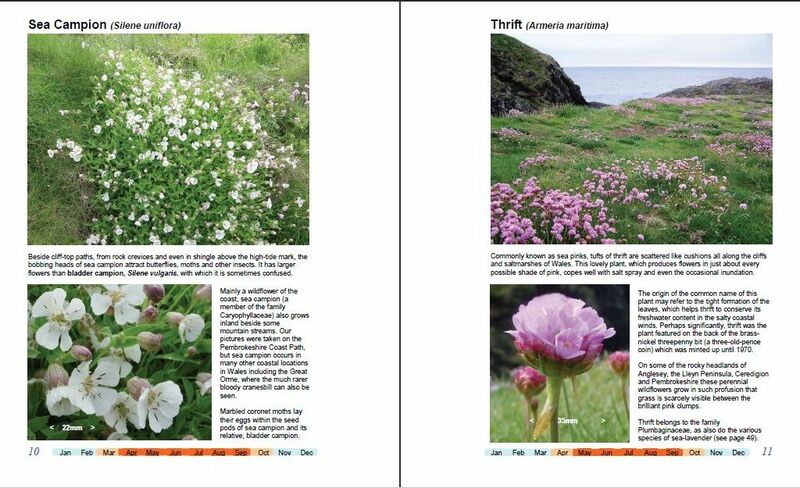 "As someone with many years experience of photographing wild flowers in Wales I was impressed by the high quality of the photographs... 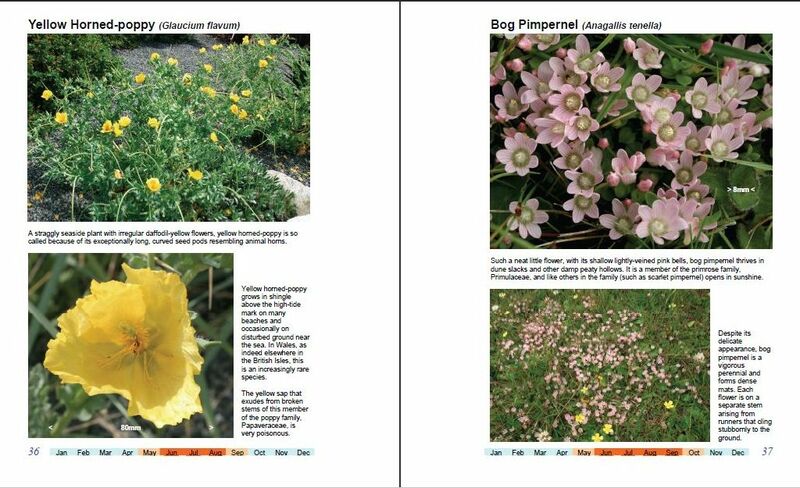 ...I particularly liked the anecdotes and comments relating to the medicinal uses of some of the plants." 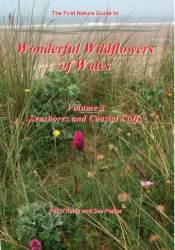 "This is the second volume in what can only be hoped to be an ongoing series. 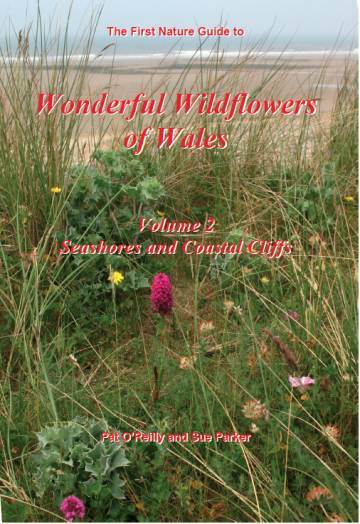 The two volumes published so far 'Woodland and Waysides' and 'Seashores and Coastal Cliffs' focus on habitats that anyone who loves the beautiful environment of Wales will appreciate. 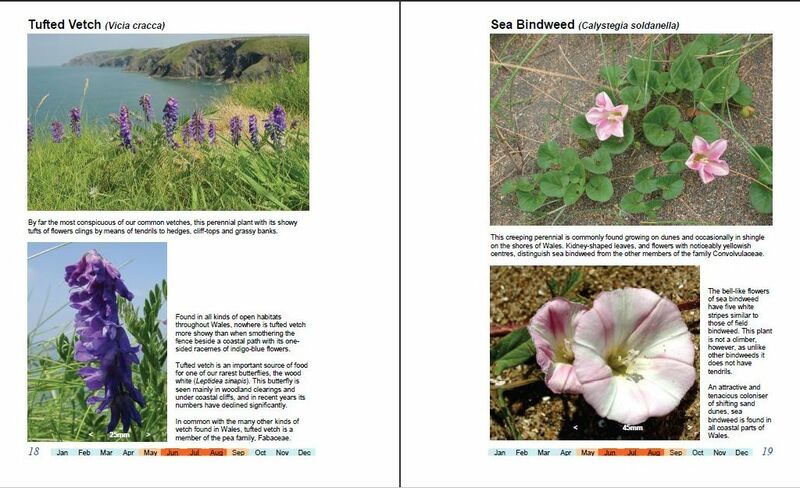 Creeping urbanisation, intensive farming and other threats to biodiversity that claim much of the land in the UK make the wildflower habitats of Wales so precious. 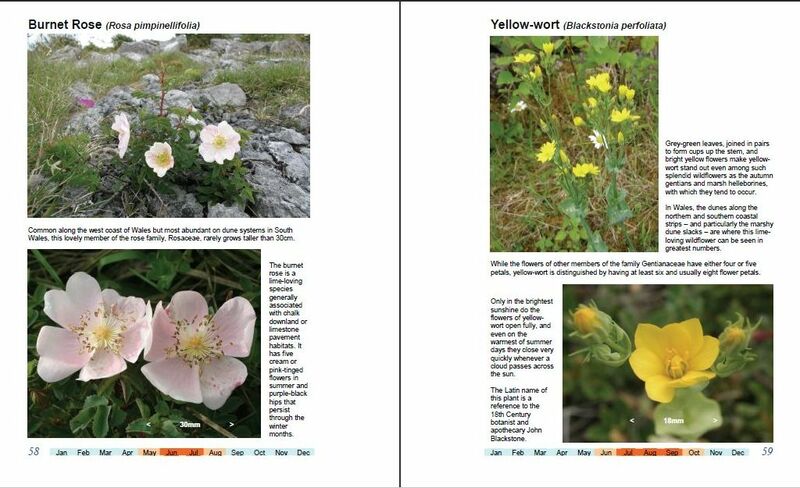 This series is a glorious celebration, in full colour, beautifully set photographs, of both common and rare flowers. The books (light enough to take with you) will inspire both the avid specialist and the ordinary rambler alike. 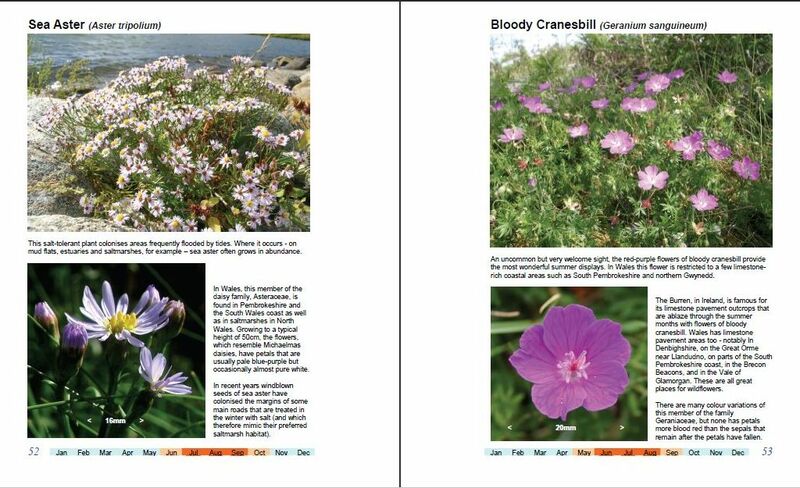 Complimenting the photographs are notes, not overly heavy on scientific detail, which explain folklore associated with particular species, and where and in what conditions you might have a hope of a sighting. 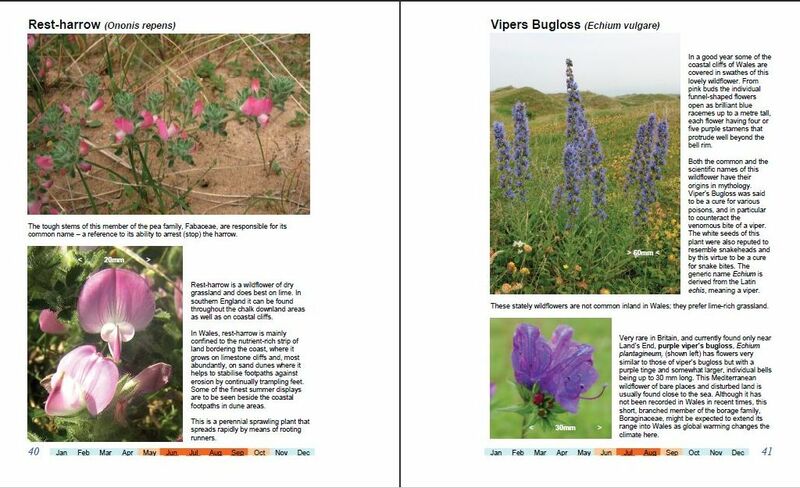 At the back of each volume is a helpful colour chart to make identification easy, and a list of websites, with commentary, which enable the reader to understand how the habitats are cared for. 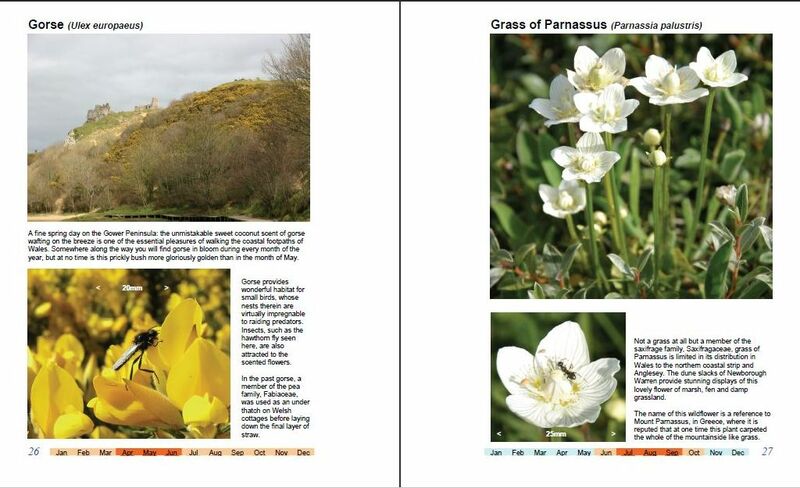 These are beautiful little books, obviously written by enthusiasts who deeply appreciate the precious natural heritage of Wales, and anyone who feels the same will love them." 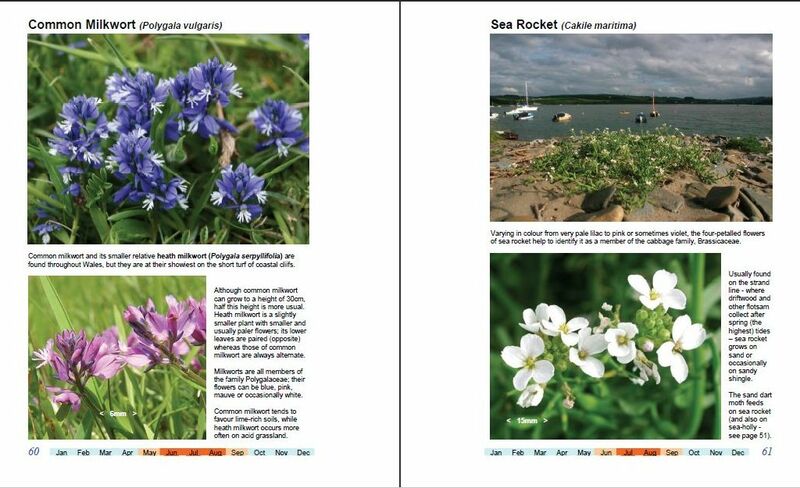 What’s Special about Coastal Habitats? 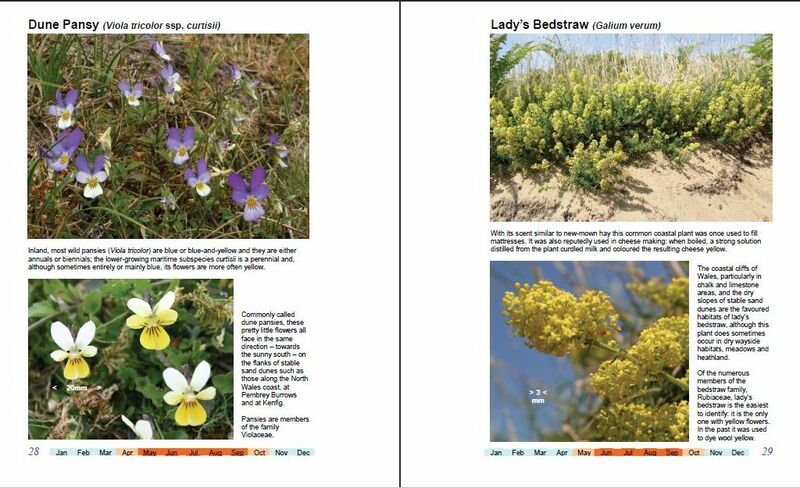 This book uses the commonly accepted term wildflowers, rather than wild flowers. 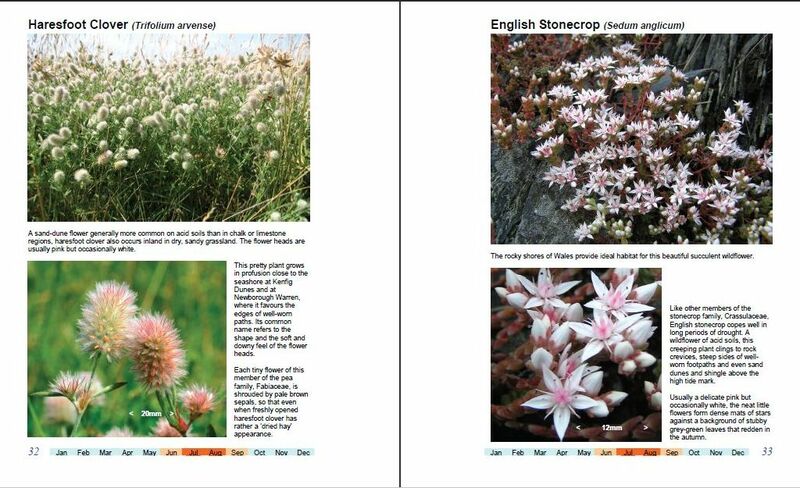 Whatever your preference the flowers illustrated and described in this guide book are some of the most beautiful to be found in Wales.